Over the past couple of years I have occasionally read about “workshops” in the letters our sponsored children write to us. I haven’t understood what the kids were talking about, and haven’t received many answers to questions from my letters. Well, I know what the workshops are now! While touring child development centers and the Child Survival Program facility, I was able to learn a great deal about the workshops and entrepreneurial opportunities that are being made available to the beneficiaries of the Compassion programs. 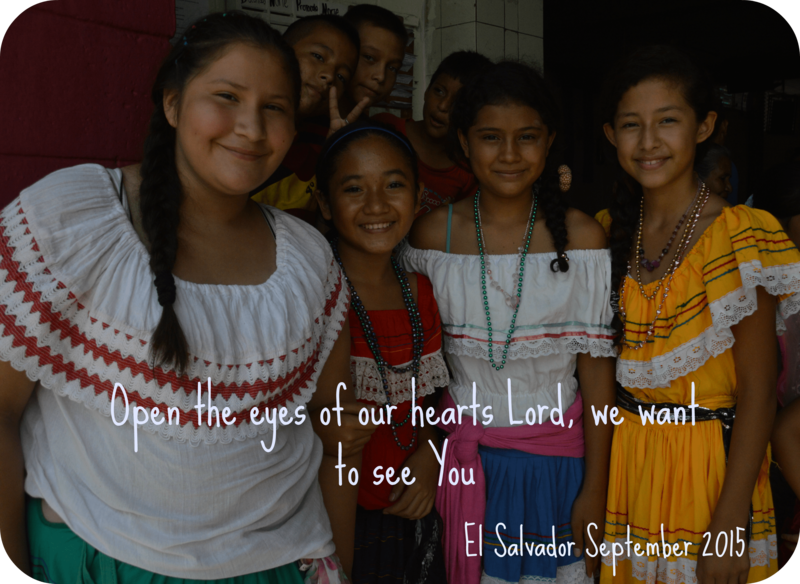 The older children and young moms of the Compassion El Salvador programs have the opportunity to attend workshops. The young moms who are enrolled in the Child Survival Programs are given the opportunity to learn sewing, cosmetology, baking and handicrafts, which can become trades to generate incomes for these women. Some women are also given grants or micro loans. 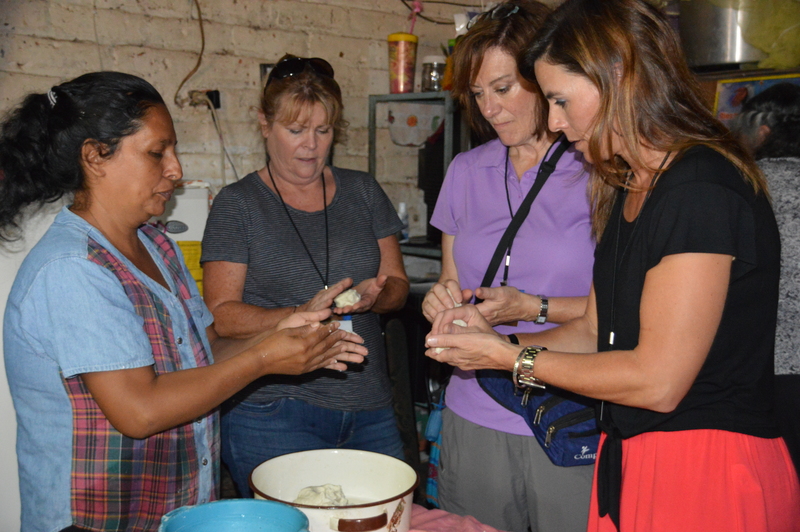 A small group of women from our team visited the home of a woman who has created a bakery in her home. 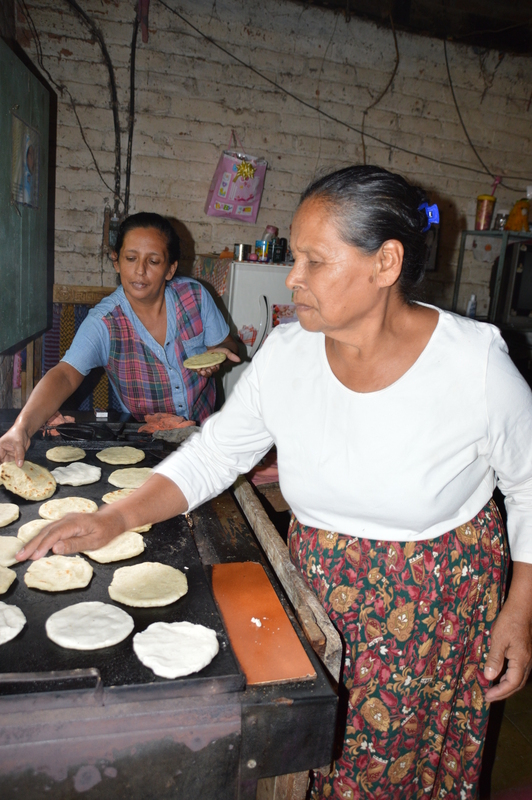 She is able to sell the tortillas and doughnuts she makes, and earn money to help support her family. The women in these workshops are strongly encouraged to attend and graduate from multiple workshops. Doing this gives them multiple options to diversify the income generating opportunities. While the mothers learn these trades in the workshops, their preschool age children have, preschool. Early learning classes for little ones, it was in this class that I met a mom who was a little frustrated with her little guy. He had no interest in sitting at the table, and instead wanted to play with toys on the floor. I gave him a matchbox car that I had in my bag and encouraged his momma that his behavior was normal. The little guy was playing with a toy that had balls of different colors, and was able to tell me the colors quite clearly. (I can understand that much in Spanish) As we played together for a few minutes, I could see that he is a very intelligent boy, and eager to please his momma. He will learn to sit at the table and participate in time. His momma seemed to relax while we talked. At the child development centers the children have many enriching activities as well. At ES792 the older children, around 12 years and up, learn to sew uniform pants, and even sell them to other child development centers. Just like at the schools, the children wear a uniform when they attend the center activities. One of the women commented on how old these machines are, and I thought how much easier they must be to maintain, without computer parts! 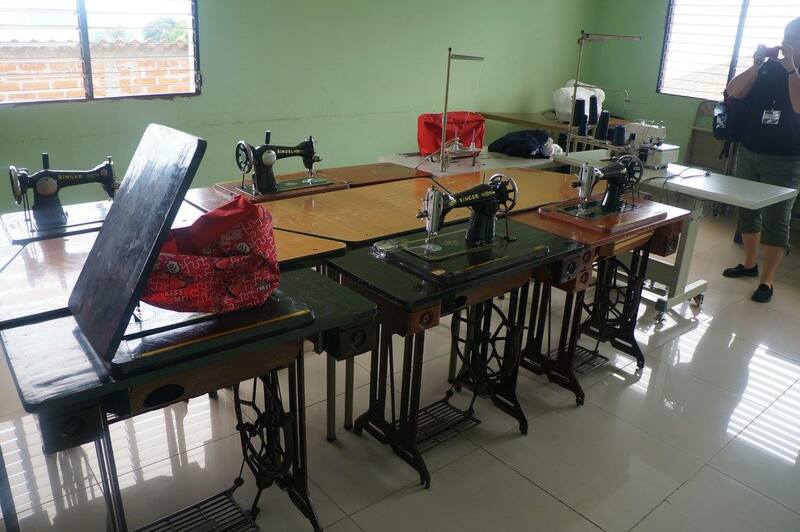 Sewing workshop where students sew uniform pants, and sell them to other student centers! The children of various ages learn to make handicrafts and sell them when they have the opportunity. 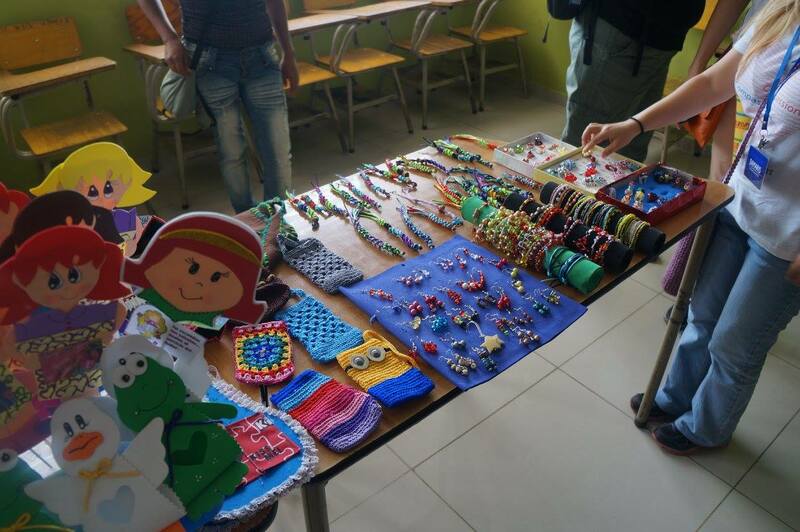 I didn’t have money on me that day, and I am sad that I wasn’t able to support these kiddos in their handicrafts endeavors. The cosmetology workshop is popular. We visited this workshop in two different centers. Some of our team were models and had their nails done, or their hair braided. The cosmetology workshop is available to women enrolled in the Child Survival Program and also to older kids in the Child Development Programs. 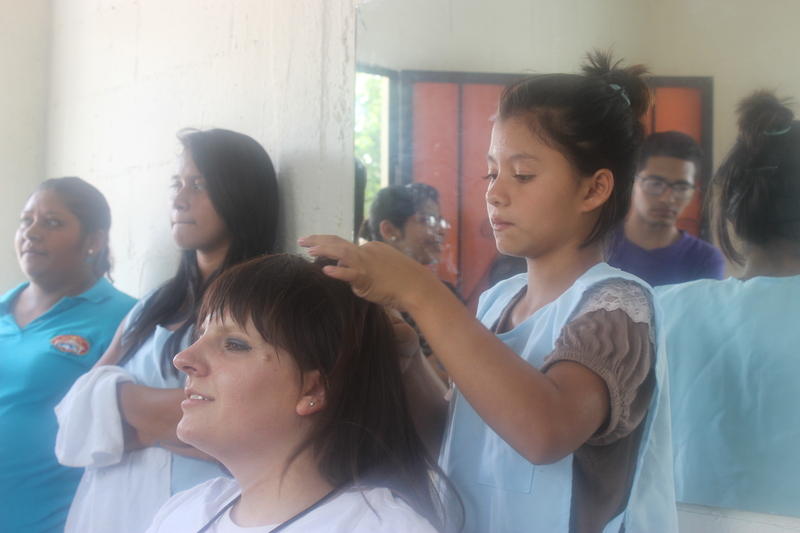 Cosmetology, Skills which they take home and put right to work to earn money. The children at ES808 were making garlic bread in the bakery workshop the day we visited. It was delicious! They make several kinds of bread which they are able to sell on Sunday morning to the people of the church. It was really wonderful to listen to these young people talk about the things they are learning to make and how they are able to take their skills home to bless their families and to also help supplement the family income. Bakery, The bread they make, they sell on Sunday. 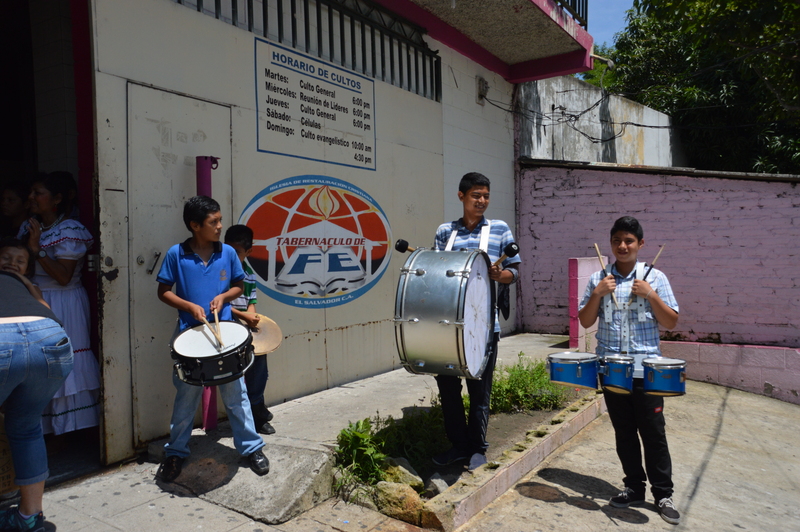 Compassion El Salvador also has a Symphony Orchestra and a Soccer Academy. The are two more ways of enriching the children’s lives, helping them to grow, and to development skills and characteristics to resist the traps of poverty and to succeed in life. 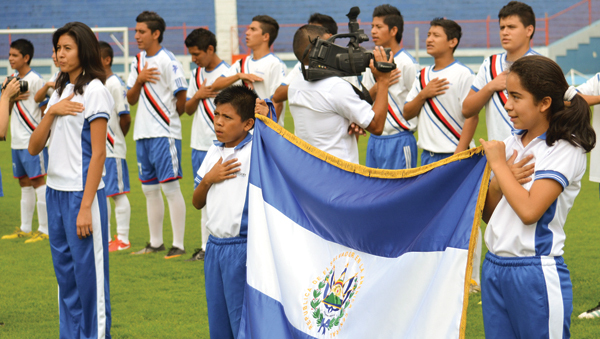 When you sponsor a child from El Salvador, or from any of the 26 countries in which Compassion works, there is so much built into the program, much more than $38 a month can provide. That’s the benefit of working together, and doing it in Jesus name. Would you like to sponsor a child, and offer her the fullness of life, in Jesus name? Love this glimpse into how Compassion works. I saw very similar workshops in Nicaragua earlier this year.